With the new update of TrakIT, Shipment Types can be linked to Events or Data in a workflow. This means that you can customize the events and data in a work order based on the Shipment Type. Events & data can be linked to one or more shipment types. 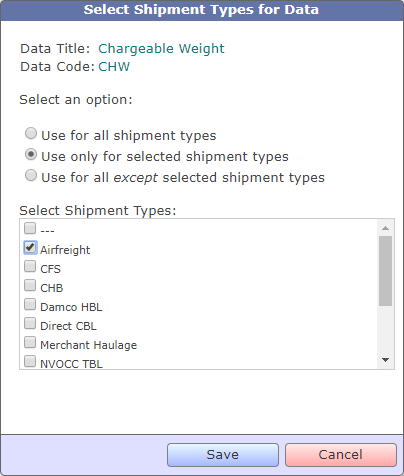 Events or Data items that are not linked to any shipment type will always be included in a work order (provided there are not other conditions that prevent inclusion). A user may change the shipment type selected for an active work order at any time - however, this may lead to some events being removed or added when the work order is reset, so it must be done very carefully.